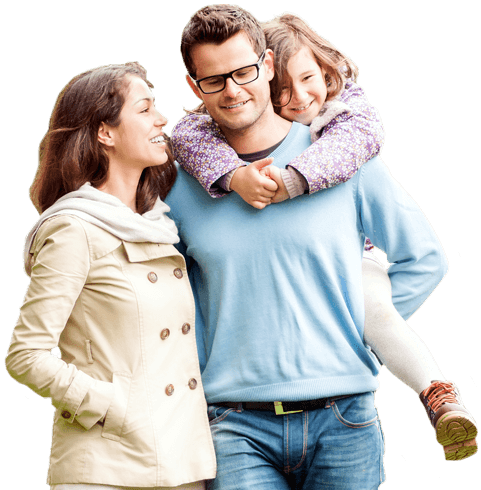 Bring the whole family for one well-managed appointment! We offer a multitude of options to meet all your smile goals. High-tech tooth replacements provide function and aesthetics. Erase your fears and eliminate anxiety with safe, effective sedation. Welcome to the website for Dr. David Tillman. Our family-friendly team is dedicated to improving the health and appearance of smiles from Fort Worth, Aledo, and all surrounding areas. We’re an all-in-one practice that offers a large variety of general, cosmetic, and restorative services. Whether you’re coming to us for basic preventive care, a cosmetic service like teeth whitening, or restorative care with dental implants, we can meet your needs under a single roof, saving you from costly referrals to specialists. Certainly there are times when a specialist is needed, but Dr. Tillman has the training and experience to handle most dental challenges here. For patients who feel nervous about going to the dentist, we also offer multiple sedation options to make your visit more comfortable and relaxing. We always want your experience to be a positive one, whether through sedation or simply through the friendly, fun atmosphere our staff creates. Your smile is in good hands with Dr. Tillman and his team. Periodontal disease is the #1 cause of tooth loss in adults. Eliminating harmful plaque and bacteria is essential to ensuring gum disease is kept at bay and doesn’t spread further. Our goal is to always keep your natural teeth intact whenever possible. However, sometimes a tooth or many teeth must be removed in order to restore balance back to your mouth. Endodontic therapy is preformed when a tooth is still able to be saved from decay and infection. And, with modern root canal treatment—patients enjoy a quick, easy and virtually pain-free procedure. Third molar extractions are necessary when wisdom teeth begin to interfere with the placement of other teeth and your overall bite. This often leads to considerable pain, signaling it is time for their removal. Preventive dental care is absolutely essential to keeping your family’s smiles pristine and healthy. Routine check-ups and cleanings are important, and Dr. Tillman looks forward to helping your family smile for years to come. Sometimes a bad childhood experience at the dentist or anxiety in general keep patients from getting the oral health care they deserve. 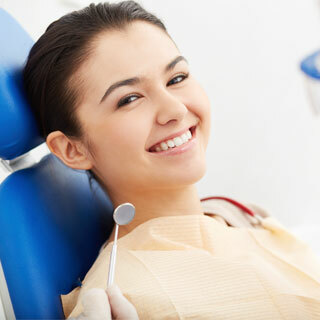 Sedation dentistry allows you to enjoy complete all your dental care in complete comfort. State-of-the-art dental implants are one of the best options when looking to replace missing teeth. Because they mimic your natural teeth in function and aesthetics, patients enjoy a fuller smile and better bite almost instantaneously! Gone are the days of multiple dental visits to attain a custom crown. CEREC® doesn’t use uncomfortable, gooey impressions, either. Get ready for an all-digital experience that yields a completely custom crown in one visit. Your smile speaks volumes and is the first thing others notice. Remove unsightly stains and restore the white, pristine smile of your dreams with professional teeth whitening. Our office utilizes in-office and at-home treatments. Are chips, cracks, stains and misaligned teeth keeping you from smiling to your fullest? Porcelain veneers can correct these problems, correcting any and all imperfections and creating natural-looking results for years to come. A straighter smile without cumbersome metals and brackets is within your grasp with Invisalign®. Clear, removable aligners allow patients to enjoy discrete orthodontics while still being able to eat all their favorite foods. "Dr. Tillman and his staff are awesome! Every visit has been a wonderful experience. You are greeted warmly as you sign in. The staff are highly skilled at their jobs and make sure to make you as comfortable as possible during your procedure. If you are fearful of a trip to the dentist, this is THE office to visit. The staff take great pride in their jobs and making you feel relaxed during your procedure. I highly recommend Dr Tillman and his staff for all your dental needs." "I wanted my daughter to not be afraid of the dentist, like her mom, so I brought her in to see Dr. Tillman when her first tooth broke through and we have been coming ever since. We love everyone here from the front desk to the exam rooms. I loved watching my crown being constructed right before my eyes-way cool. My daughter is comfortable and loves her hygienist. Dr. Tillman always has a smile and takes time to explain everything in detail. We will be coming to this dentist until he retires!" "Dr. Tillman has been our dentist for several years, he is wonderful! The office staff, assistants and hygienists have always been so nice. I've had several procedures done with them (including wisdom teeth removal) and my experiences have been positive! We also take our young children, who look forward to going. (I wasn't expecting a 3 and 5-year-old to love any dentist, but the staff made them feel comfortable and special) We're very grateful that we have a family dentist we can trust."" As a result of Dr. Tillman’s experience and expertise, you’re not only saved from costly referrals, you can also expect personalized care at every visit. 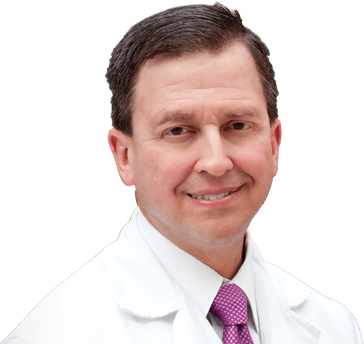 During a consultation, Dr. Tillman will carefully assess your needs and review your medical history. We’ll also talk to you about your personal goals. Maybe you want to revitalize how your smile looks through one of our cosmetic services, or maybe you have one or more teeth you need to replace. We’ll explore all your options with you as we guide you to the service (or services) that will help you achieve your ultimate goal. When you know all of your options, you can make more informed choices about your own care. “My goal is to make sure my patients have great dental health and a dental experience that is comfortable and fun!" Outside of regular brushing and flossing, the best thing you can do for your smile is drop by our Fort Worth office for regular hygiene visits at least twice a year. With a combination of dental cleanings and oral exams, we can help you safeguard your smile from some of the most common oral health problems, including gum disease and tooth decay. We like to practice conservative dentistry, which is all about helping you preserve as much of your natural smile as possible. We can only do this, though, if we see you frequently enough to catch these common problems as they’re first developing. If a year or more has passed since your last visit with us, we hope you’ll get in touch with us soon.